“But whether Ramaphosa succeeds depends on elections outcome on May 8th. But even if the ANC wins, he will face ferocious opposition to the clean-up from within his party. He will therefore need to tread carefully as it would be easy for rivals to remove him from the party leadership”. In mid-February, Bantu Holomisa, president of the United Democratic Movement (UDM), a political party, exclaimed: “we now know the cost of state capture…billions of rands have been stolen and state-owned enterprises (SOEs) have been weakened”. Holomisa made these remarks at UDM’s manifesto launch in Port Elizabeth against the backdrop of renewed load-shedding by the country’s state power utility monopoly, Eskom, which the UDM president attributed to state capture. “Like Prasa, Eskom is no longer able to perform service as it should”. He was only stating the obvious. At his second State of the Nation Address (SONA) a week before, President Cyril Ramaphosa addressed the matter quite succinctly. “The revelations emerging from the Zondo commission of inquiry into state capture and other commissions are deeply disturbing, for they reveal a breadth and depth of criminal wrongdoing that challenges the very foundation of our democratic state”. More importantly, “where there is a basis to prosecute, prosecutions must follow swiftly and stolen public funds must be recovered urgently”, the president added. Incidentally, Holomisa’s speech a week after, happened at exactly the same time the ruling African National Congress (ANC) president was addressing the party faithful at their manifesto rollout in Limpopo. “President Ramaphosa may be a decent man, but he is just one man”, Holomisa remarked. “There is nothing to stop the ANC from deciding to remove him just as they recalled Thabo Mbeki and replaced him with a person facing over eight hundred criminal charges”, the UDM president added. Holomisa was also speaking from personal experience: the ANC expelled him in 1996, after he testified before the Desmond Tutu-led Truth and Reconciliation Commission. Incidentally, Ramaphosa had, only just days before, during his response to the SONA debate in the South African parliament, been defending himself against accusations by Congress of the People (COPE) president, Mosiuoa Lekota, a former member of the ANC and former minister of defence, that he betrayed his struggle comrades to the apartheid regime when he was a student leader. Ultra-leftist Economic Freedom Fighters (EFF) party has called for a judicial commission of inquiry into the accusations by Lekota. And about a month before, EFF leader Julius Malema also asked Ramaphosa to clear the air on the actual relationship between his son Andile and Bosasa (registered as “African Global Operations”), a facilities management firm implicated in state capture that was recently liquidated by its sponsors after banks refused to do business with it. In light of this context, how far will Ramaphosa go in fighting corruption within the ruling ANC and the state? How far can he really go? This question was posed these questions to top political analysts. “Ramaphosa has already started to tackle corruption by replacing the boards of corrupted firms and hiring credible prosecutors”, says Adeline Van Houtte, Africa analyst at The Economist Intelligence Unit (EIU) in London. “Cracking down on corruption and prosecuting offenders remain key elements of Ramaphosa’s agenda”, she adds. 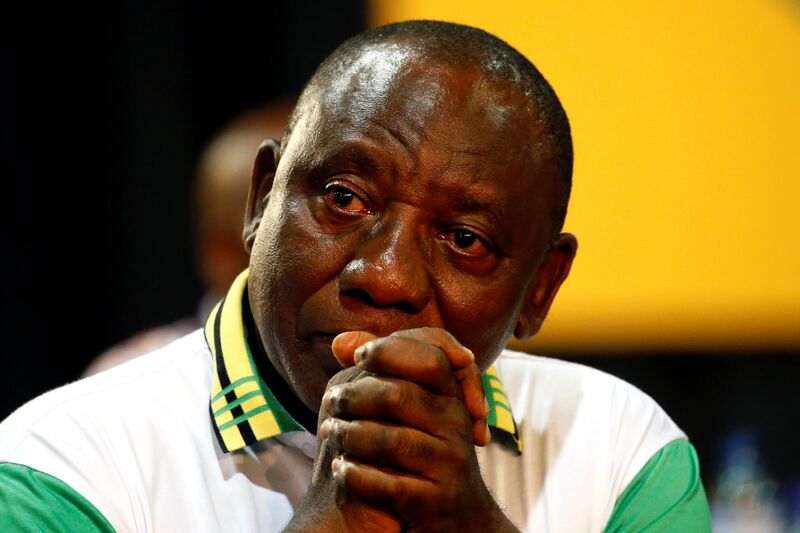 Thus, “Ramaphosa is constrained in different ways in terms of combatting corruption at the state level and within the ANC itself”, says Oxford-based Jason Robinson, a senior Africa analyst at Oxford Analytica. An edited version was published in the March 2019 issue of New African magazine.